You might have heard people talking about eating low GI and wondered what it means or why people follow this way of eating. I’m going to break down everything you need to know about low GI and the benefits of eating this way. The Glycemic Index (GI) is a relative ranking of carbohydrate in foods according to how they affect blood glucose levels. GI is measured on a scale from 1 to 100. · GI levels that are 55-70 are considered moderately desirable. · GI levels that are over 70 are considered high and will spike blood sugars levels very quickly. These foods include potatoes, white bread, soft drinks, and lollies. · Glucose has a glycemic index level of 100 which means that it spikes blood sugar levels instantly. When you eat a high GI food your blood sugar levels rise rapidly, and your body starts producing insulin (the fat storing hormone) in order to eliminate the blood sugar from the bloodstream. While your body is trying to slow the rapid spike in blood sugar levels caused by the high GI food, it may over produce insulin so that the blood sugar levels decrease. The high amount of insulin produced causes glucose levels in the blood to suddenly crash, and this may make you feel very hungry, even though you may have just eaten not long before. Eating low-GI foods cause a steady rise in the level of glucose in the blood, which in turn leads to a smaller and gentler rise in insulin. When insulin slowly increases it keeps you feeling full and energised for hours after eating and can help your body burn fat more efficiently. Following a low-GI diet has found to help with reducing blood sugar levels, weight loss and helps lowers the risks of heart disease and type 2 diabetes. 1. Choose low GI carbs and a lean source of protein at every meal to help level out blood sugar and keep your energy levels and appetite in check for the rest of the day. 4. Practise mindful eating – eat slowly and enjoy your food. 5. Exercise regularly – include a minimum 30 minutes of regular exercise as part of your daily routine. · Swap white bread for wholegrain bread with seeds which are lower GI contain more fibre, vitamins and minerals. 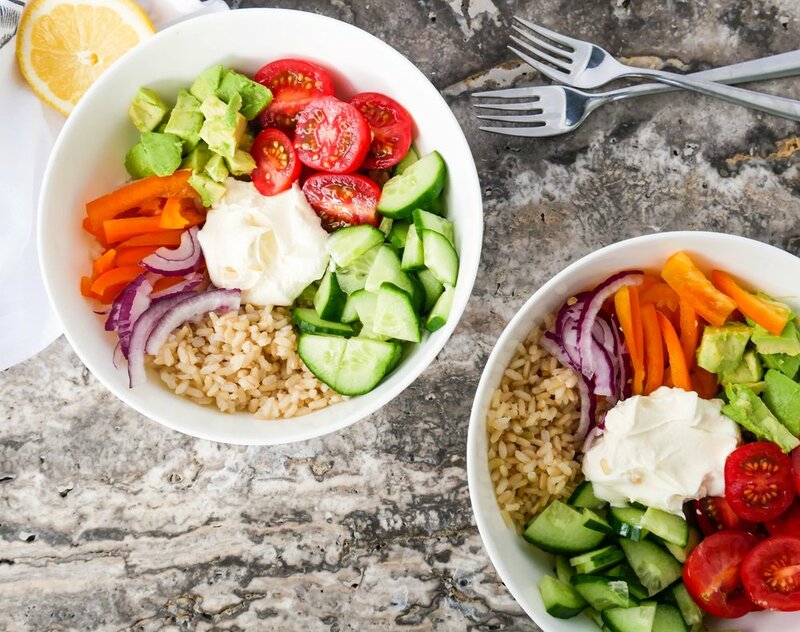 · Try a certified low GI White or brown rice product – they’ll keep you fuller for longer and provide sustained energy release. · Swap boxed breakfast cereal for traditional rolled oats or natural muesli which are lower GI and have more fibre, so they will keep you feeling fuller for longer. · Swap potatoes for kumara (sweet potato) because it contains more fibre than potato and is lower on the glycaemic index. For this reason, blood glucose will rise a little more gradually with kumara than with white potatoes. · Swap potato chips for a handful of nuts and seeds because they contain healthy fats, protein and fibre helping you feel fuller and more satisfied. 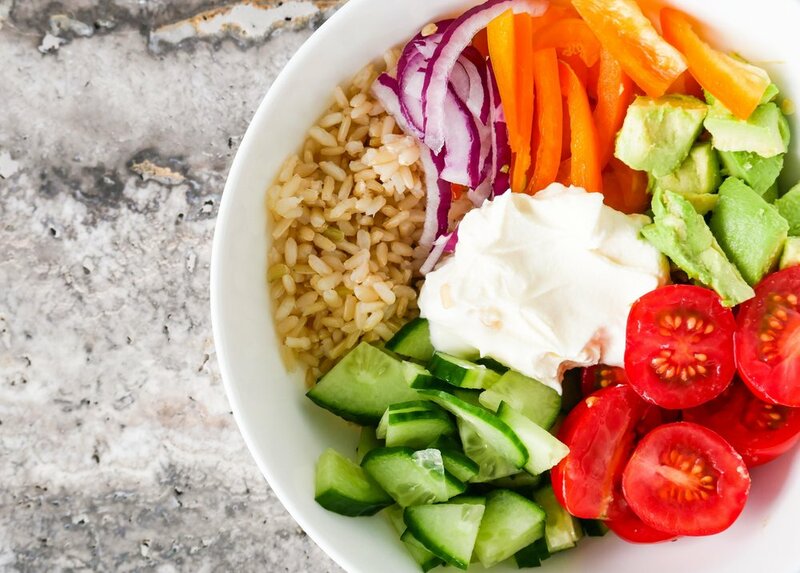 We have created a recipe for a Brown Rice Vege Bowl that is low-GI, rich in nutrients, protein and flavour. This recipe uses SunRice’s Naturally Low GI Brown Rice. (recipe below).